I am a busy woman. I have made promises. And I have been reminded of them. 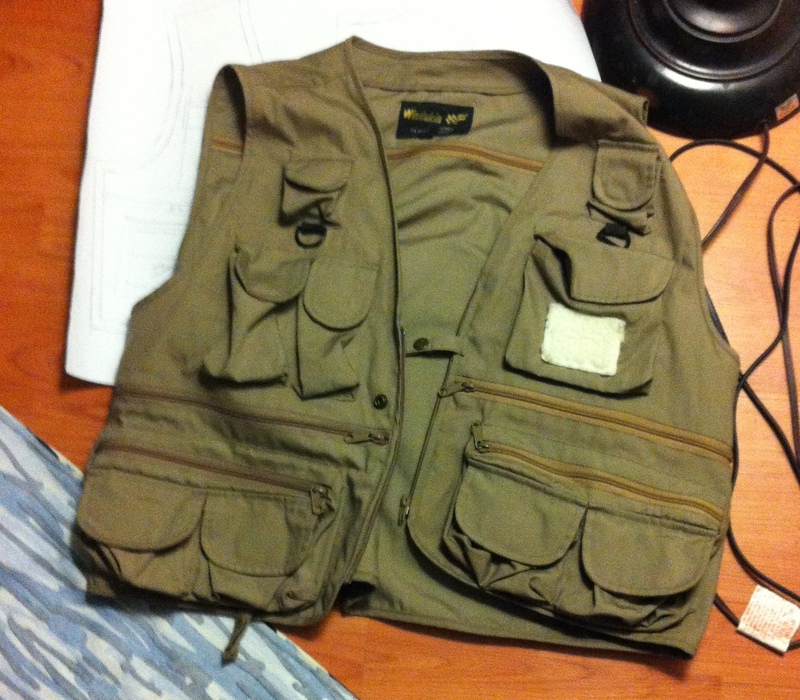 Namely, I said (oh, back in April) that I’d make my kids fishing vests. Yes, fishing vests. Those things with all the zillion cargo pockets. No, I wasn’t thinking it through. On the other hand, the kids’ ones are insanely expensive. 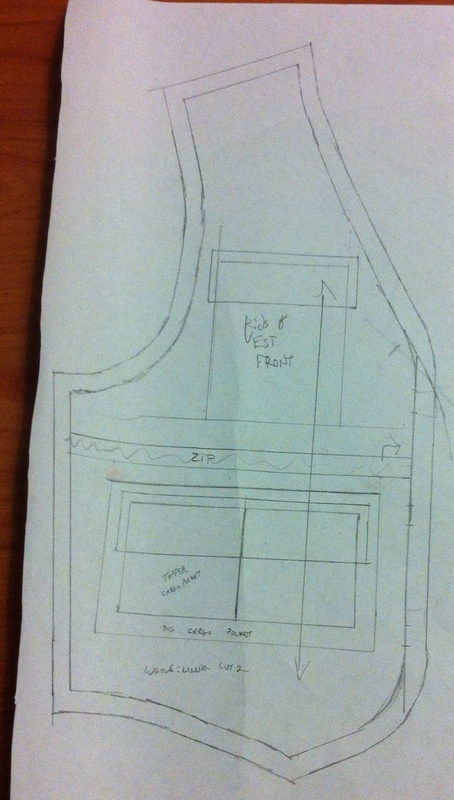 So last night, rather than working on yet another dress, I hunted through the box of kids’ patterns and eventually settled on the vest from this one. It’s a size 8, so technically it will either be big on Syo or small on Tyo. I’m vaguely hopeful it’ll fit both*. We’ll see. 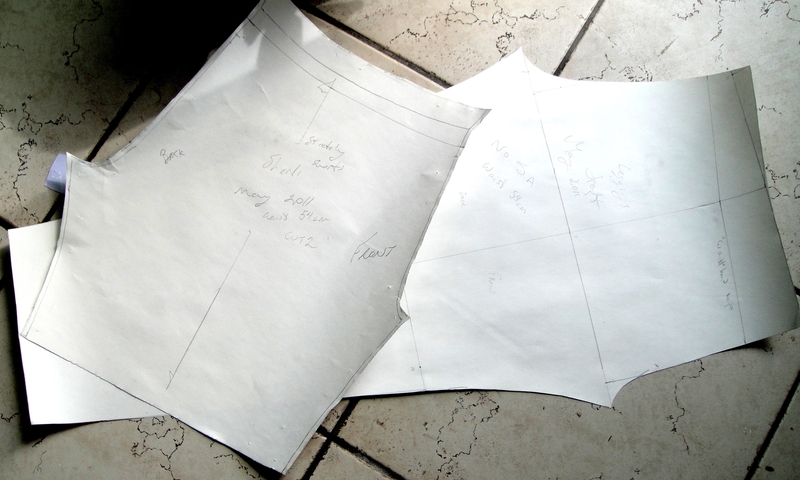 I traced out the pattern along the stitching lines (hooray for one-size patterns!) 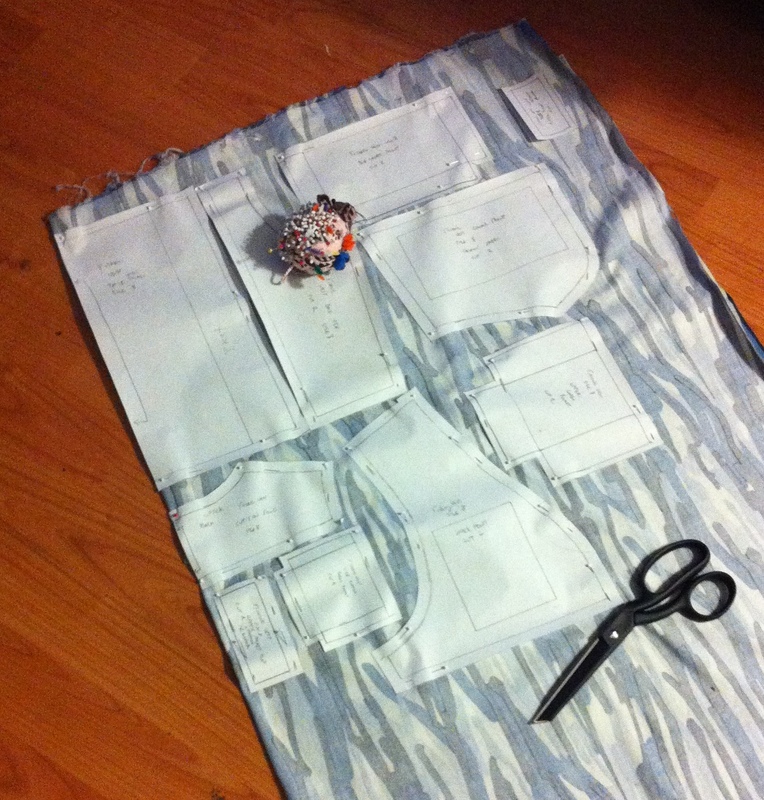 and started laying out my extras: zipper inserts, pockets, bits and bobs. 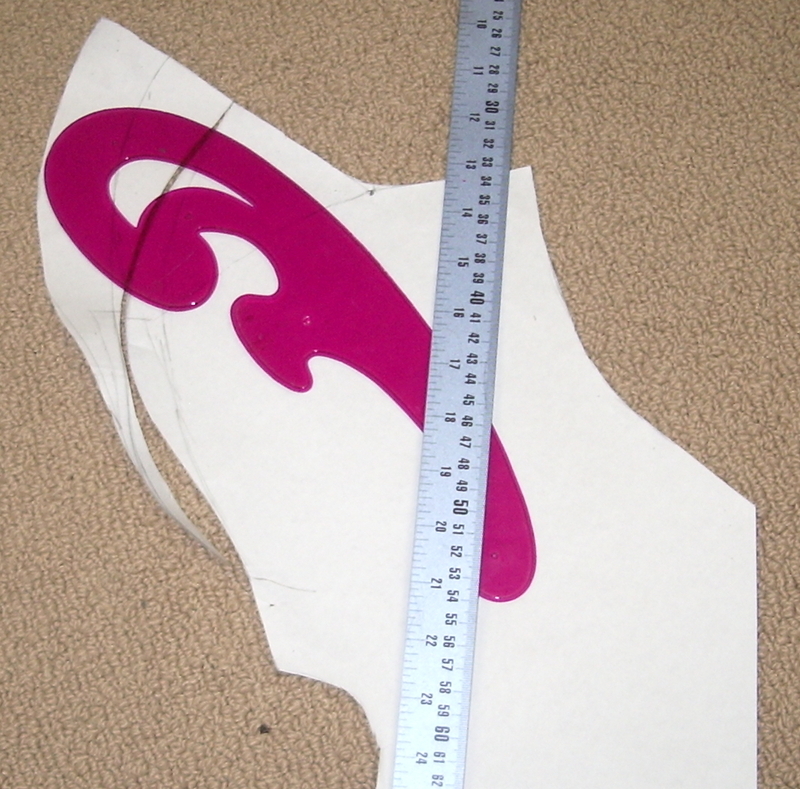 Then I traced all the individual pieces separately, added seam-allowances, and tried not to flake out about which pieces I need to cut two, four, or eight times. Fabric of choice (at least for this version) is a lightweight not-actually-camo-print twill originally purchased to replace these capris of Tyo’s. Hopefully I’ll have enough for the vest and the capris, because heaven and earth will tremble if I don’t. Before I start assembly I need to pick up a few more zippers (my plan calls for five or six, depending on whether I can locate 6″ separating zippers) and maybe some other fun bits of hardware—a few D-rings, at any rate. I have also written myself out a construction order, otherwise I’ll never remember things like adding velcro to the pocket flaps. The drafting actually went pretty quickly. We’ll see how I do with the actual construction. *I should point out here than until Tyo’s recent, um, developments, she and Syo had almost the same ribcage measurement. Tyo is three years older and plenty taller, but she takes after the pear-shapes in her father’s family, with a narrow ribcage. Syo, on the other hand, is leaning towards my kind of broad-shouldered shape. Steph made me a pattern! Can't you see the shirt? 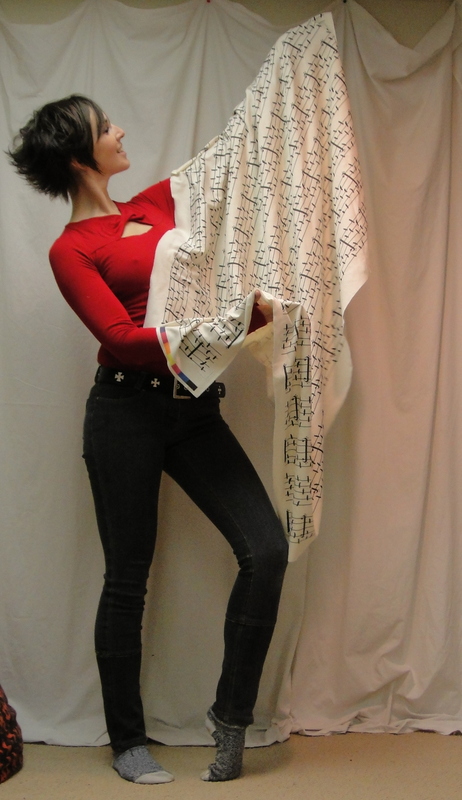 Steph, of 3 Hours Past the Edge of the World, made me a pattern for a super cute kimono-sleeve tee! Well, I guess you guys can use it too. As long as you put it back when you’re done. And don’t go losing my instructions, either! And just in time for Christmas, too. Unfortunately for me, I’m so busy with all my other insane Christmas sewing (not to mention all the other insanities of life) that it’s not going to get stitched up in time for Christmas. Poo. She even sent me some of her nifty Bird on a Wire fabric to bribe me encourage me to test the pattern out. Hush. I can be as goofy with my spanky fabric as I like. And I was going to crop out my fugly socks, but, y’know. Sometimes ya just gotta go with the goofiness. To make bike shorts, apparently. For once, I was not planning on jumping on the bandwagon. Beangirl made them for her kids. Joy made them for hers. But I was strong! I had no particular desire at ALL to make such a simple, prosaic item. Besides, my kids have lots of shorts and leggings. But this weekend it was Syo’s turn to get a garment, and Syo wanted, of all things, bike shorts. This is a piece of fabric that she picked out, herself, several months back, and has been patiently waiting for me to make up. “How about a nice dress?” I suggested. First problem, of course, is that I don’t have anything resembling a children’s leggings pattern. Obviously I could’ve gone and found/bought/downloaded a kids’ leggings pattern, or just traced off an existing pair, but what fun would that be? 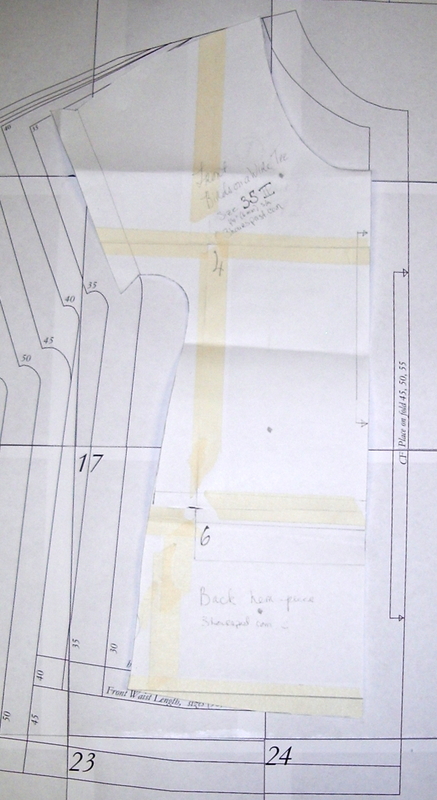 Enter Metric Pattern Cutting, a copy of which I tracked down in my panic after the disappearance of Modern Pattern Design. Although it doesn’t have quite as many nifty vintage details as Pepin’s, this book is amazing in its own way. All the usual dart-manipulation stuff. More blocks than you can shake a stick at. Information on standard sizing and grading, as well as drafting custom blocks. And it has directions for drafting knit blocks, including leggings. Now all I need are the menswear and childrenswear versions, but anyway. 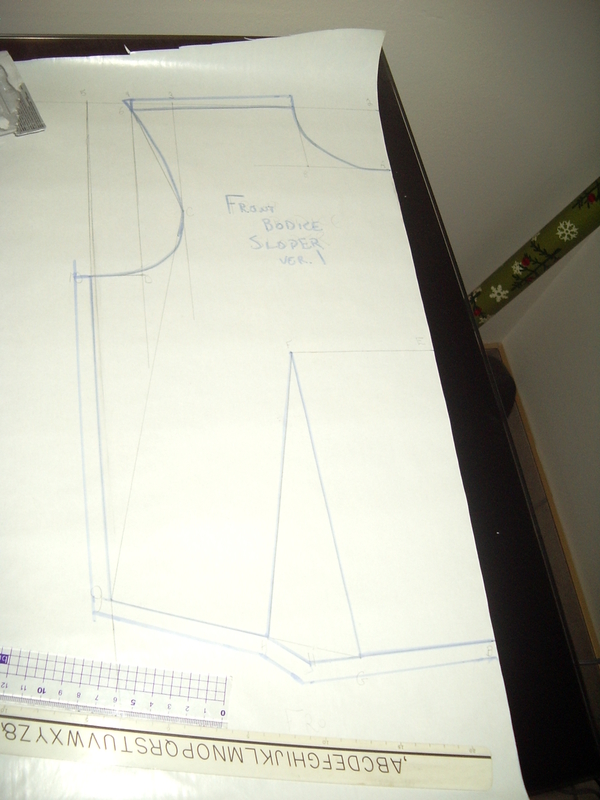 I managed to wrangle Syo into letting me take a ridiculous number of measurements, and then trotted off to attempt to draft up the shorts. The MPC draft is, of course, intended for an adult. Using it for a kid-size pattern is not the smartest course, but I figured for something as simple and forgiving as leggings I would risk it. It wasn’t too hard to figure out where I needed to reduce the suggested measurements. Anyway, it took perhaps half an hour to draft up the pattern (including time to hunt down my yardstick, which had vanished behind the livingroom bookshelf). For once my square and French Curve were where I left them, which is a minor miracle. 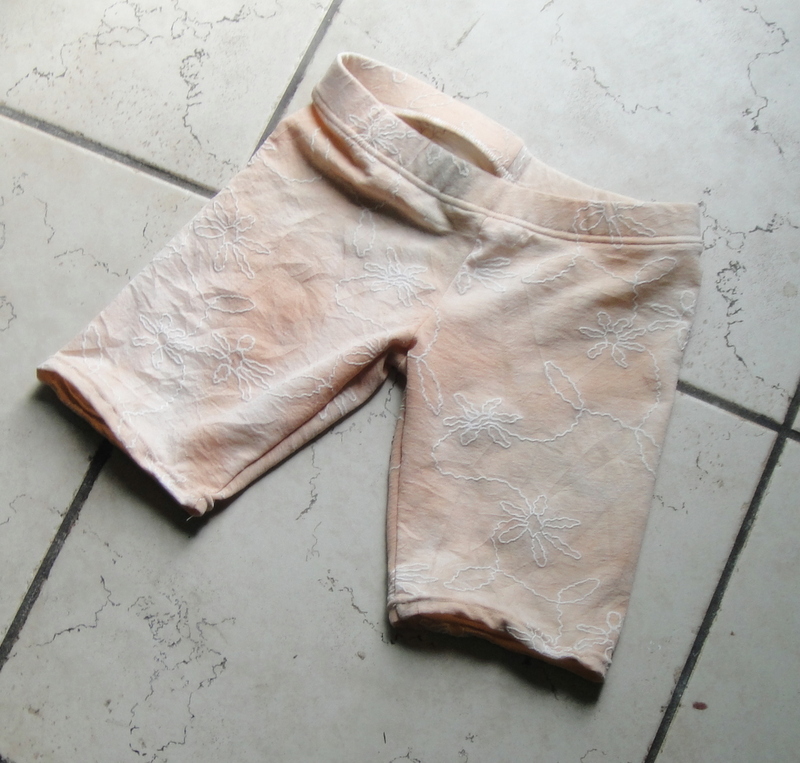 And, in comparatively short order, we had a pair of bike shorts. I did have to lower the waistband by a good inch/inch and a half, as the draft makes it at the natural waist, and my children will have none of that. Of course, the evil monkey had to dash off to a sleepover before they were quite finished, so I don’t have pictures of them actually on her yet… Grrr… But from the in-progress fittings, I promise they fit very, very well. 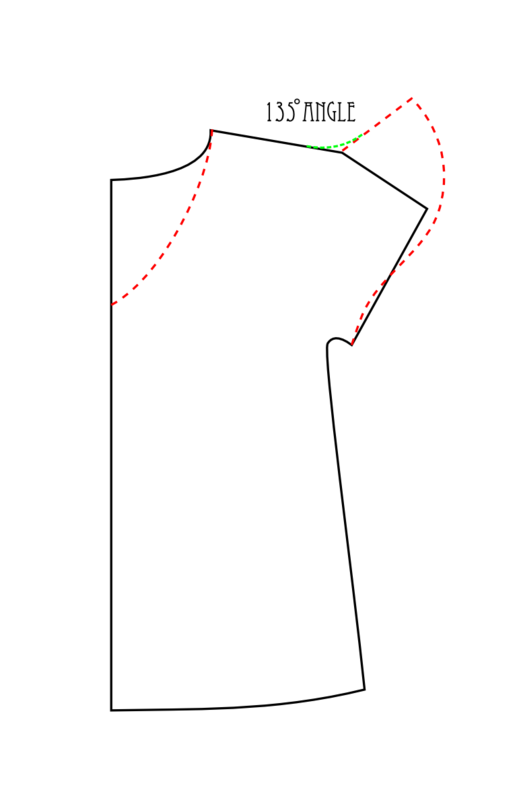 So yesterday I sat down (actually, stood up, craned my neck, twisted around in front of the mirror) and took my measurements to try and draft my own personal sloper. I used the instructions from Modern Pattern Design. They suggest having someone else help take the measurements. 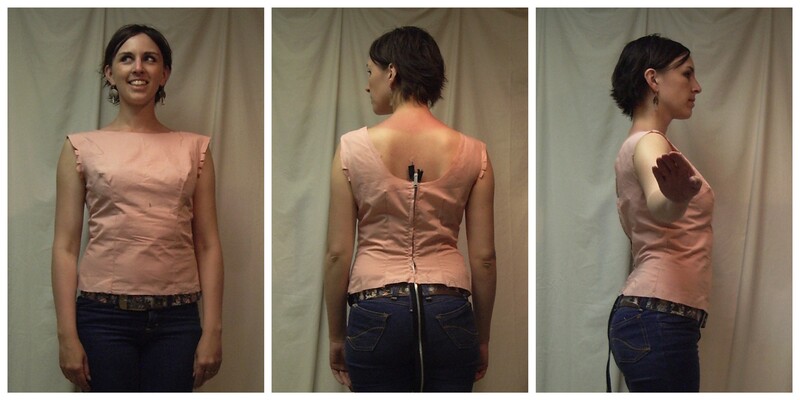 EVERYONE suggests having someone else help take the measurements. I suggest having someone else help you take the measurements. I still did it on my own. How wacky this makes my results remains to be seen. 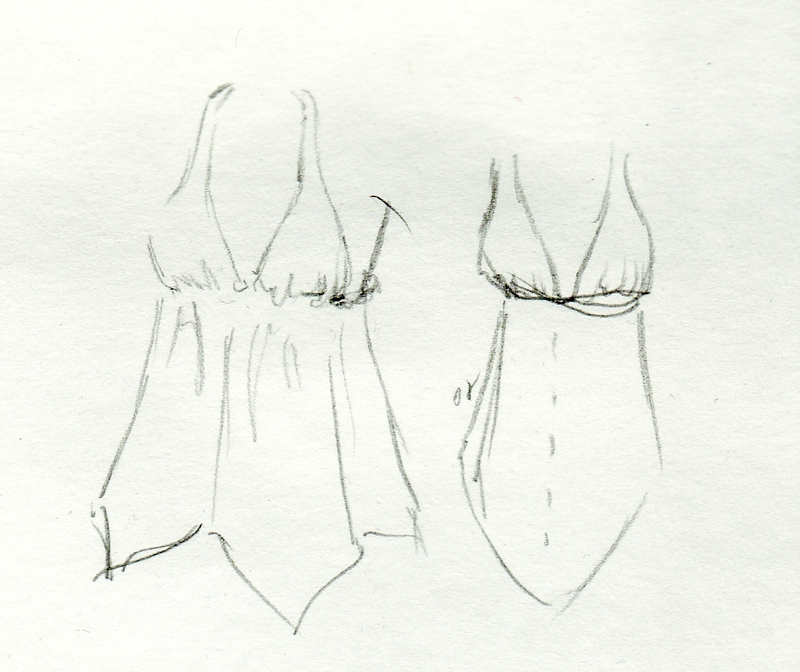 So far I have drawn up the front bodice sloper. 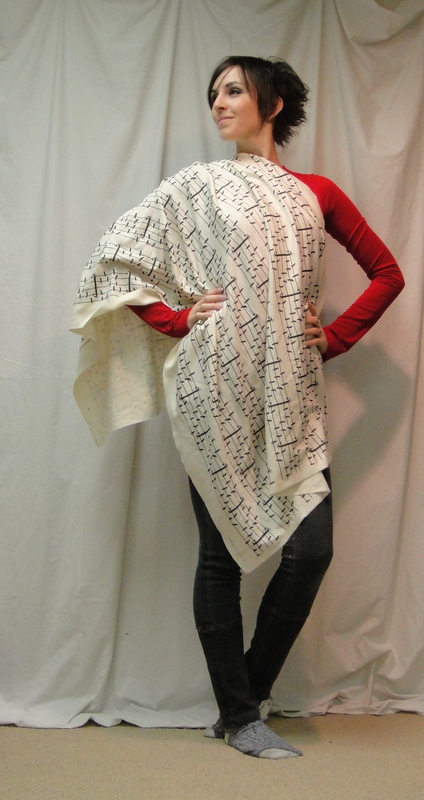 I just need to do the back, and then sew up a muslin to find out how much it doesn’t fit. First impressions… well, the waist dart is WAY narrower than the one in the illustration (which I expected… I do NOT have a classic 40s feminine figure. Even if I had a corset, I don’t think I could achieve that effect… at least not without a few years to adjust to tightlacing. ANYWAY. The main surprise was the slope of the shoulder… namely, there isn’t any. Well, almost none. I mean, I know I have broad, fairly square shoulders, but these are almost perfectly straight out. So… we’ll see. I may also need to lower the armscye, but that shouldn’t be too hard. 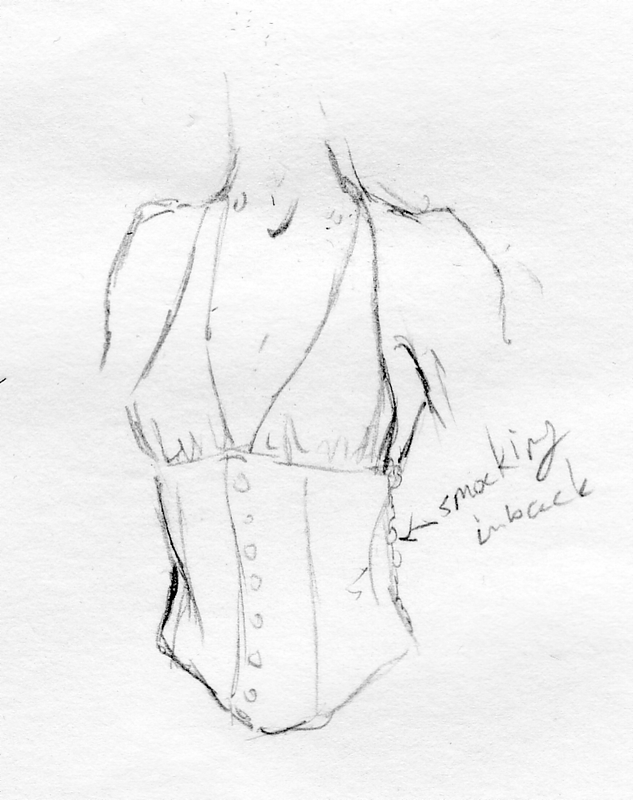 I don’t have a French curve like they suggest for smoothing the armscye and neckline curves… hopefully my skillfulness as an artist will make up for that (LOL). Future thought… if I do manage to make this work, it would be REALLY fun to do a jacket for my husband from a personal sloper. He’s got BROAD shoulders and an itty-bitty (for a guy) waist… he tried to get a coat tailored to fit once and the tailor just threw up his hands and said it couldn’t be done. 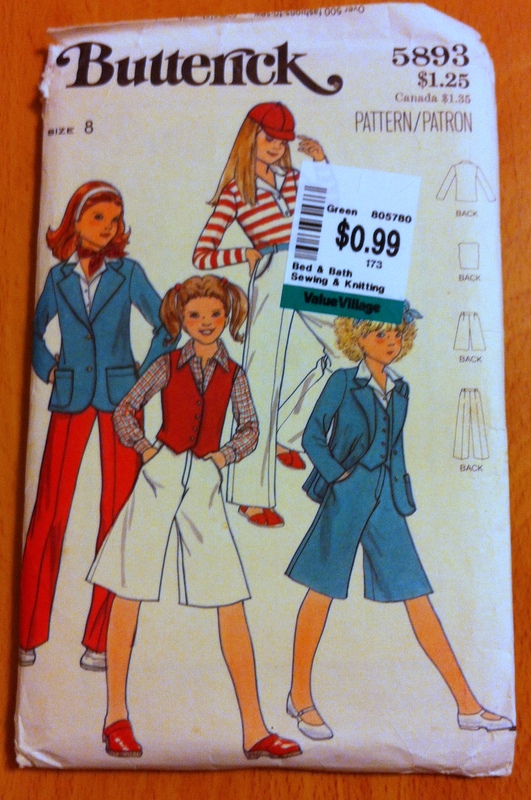 But before I ever try that I need to find out if I even CAN make a jacket, much less a well-tailored one. Not sure how much actual sewing I’ll get done for the next little while as the Grandmother-in-law is staying with us for a week or so and then the kids are on Spring Break and we’re heading home for even more time… but I can dream.